Home » Home » I never knew there could be jewelry for books! Yes they are bookmark charms! 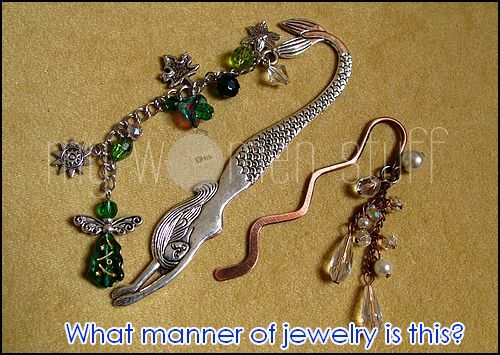 While looking online, I also saw these in Choobs, a local jewelry blogshop. You could also look in Etsy that haven of all things handmade. I saw some really pretty ones there too! 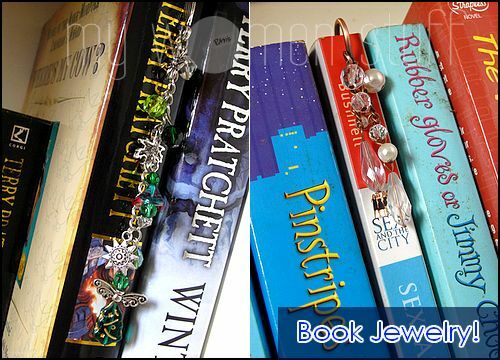 So who’d have thought jewelry for books existed eh? 🙂 Did you guess right? NEXT POST: Shu Uemura Face Architect Glow Enhancing Powder Foundation – Like Silky Velvet! Yup, they are bookmarks. =) I just bought one with pink stones for my mum last Christmas. Owwhh!! Those are really nice bookmark charms!! I saw those in Borders before.. wanted to get one for myself too! Oho I don’t go to Borders enough 😀 Did you end up getting any? These are too cute! Does anyone know where I can pick one pf these up in North London? vanityvault.net sells them at a super cheap price. 😉 Handmade too! Oh~~ I know! Its from Bookaxcess at Ampcorp Mall. Saw them at the counter Cheap2 books too!